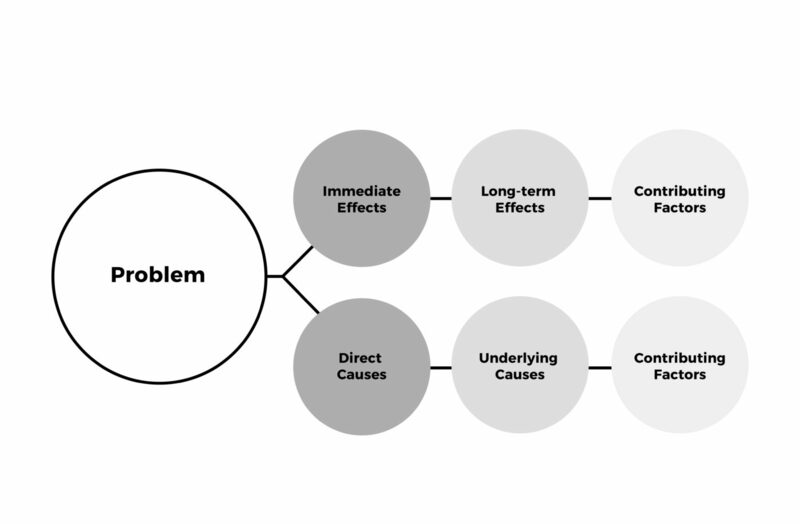 Use this diagram to chart the causes of the problem that your campaign aims to address and how that problem affects people differently. We use this tool to help identify the “root cause” we want to tackle in a campaign or even in a set of campaigns. Begin with the main problems we see standing in the way of our vision in the “core problem” circle. Then work outward from there to explore underlying causes (one of which is likely the “root cause” to address); the effects you identify can serve as campaign hooks with different audiences, as they represent ways the problem is felt by people. We recommend doing this collaboratively in your campaign team.